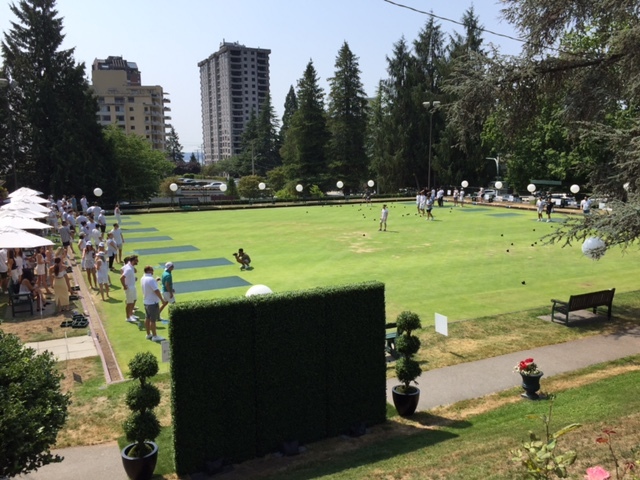 West Vancouver Lawn Bowling Club has arrived!!! Not only did West Vancouver mayor Michael Smith have his 5th Annual Mayor’s Tournament here in July, but two wonderful young men, Marc Burrows and Peter Joudaki, put on Midsummer’s Green Lawn Bowling, their own fifth charity tournament. 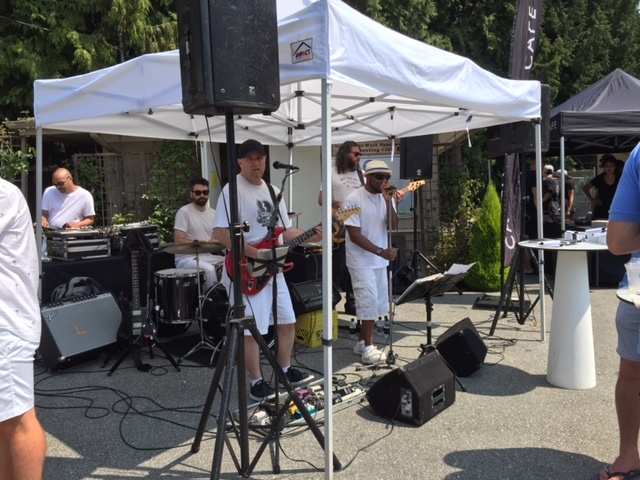 This year funds from the event will go to the Neonatal Intensive Care Unit at Royal Columbian Hospital. 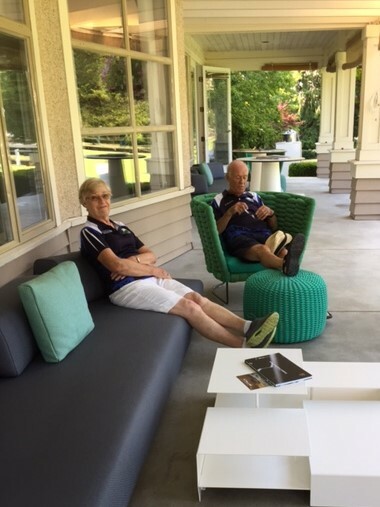 They went all out, providing patio furniture that Grethe and Keith had to give a try. There was a band, Nearly Marley, food provided by Cactus Club, and our bowling greens full of beautiful young people (inside and out) who gave generously to the charity. 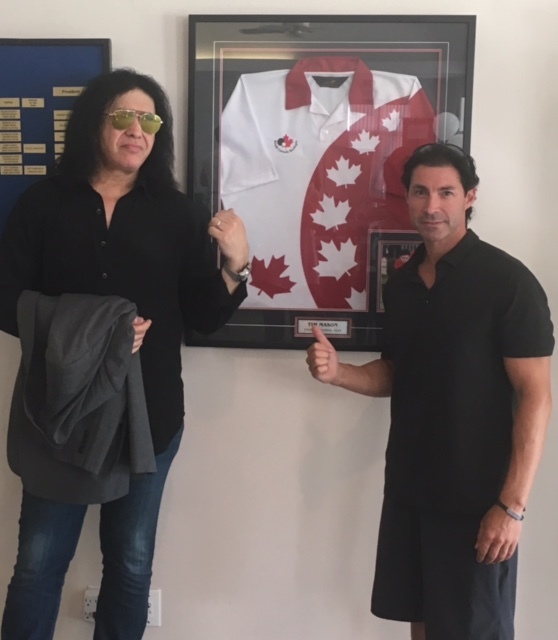 They had a blast whether learning to bowl, or fiercely competing. So many of the teams keep coming back year after year, and this year there was a creche as team members are starting their families. 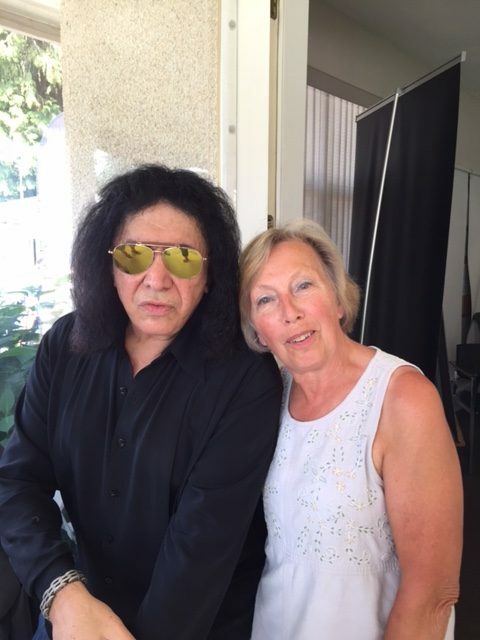 Just when it seemed things couldn’t get any better, Gene Simmons of Kiss appeared! 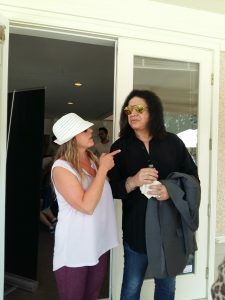 He spoke on behalf of one of the teams and when he was done, a band member handed him a guitar and he played for us, with a lovely young woman providing the vocals for “Wild Thing”. We were beyond excited and so pleased that he stayed on to chat and have his photograph taken with us. Too bad I missed it. Gene Simmons is just great!